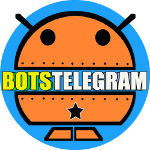 You can directly chat with us on Telegram messenger, our user is @Bots4Telegram. Feel free to tell us what you think about our website, send us new bots, update info of the existing ones, bugs, translations… If you don’t like our website you can tell us how much you hate it, in fact, you talk with us about anything you want, even talk about your cat. Bro your work is great. glad to see your achievement and success.